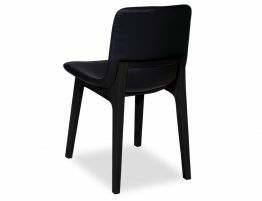 The Ara Dining Chair has the form reminiscent of Jasper Morrison’s HAL chair with true quality construction using premium materials, The Ara Dining Chair is both pleasing to the eye and lovely to sit on. 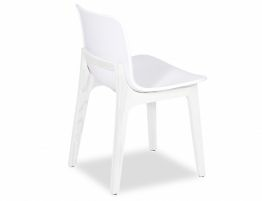 Add some crispness to your eating areas with Ara Chair in white. New in town and sure to please all white frame. Solid in structure with a perfectly molded seat shapes body form beautifully. 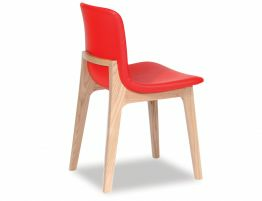 If your eating areas are well utilised then Ara will be a great addition. 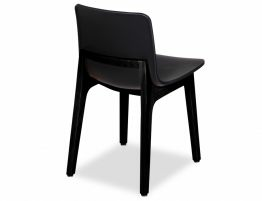 Able to withstand the busiest of rooms and indeed ideal for commercial spaces with easy to clean seats. 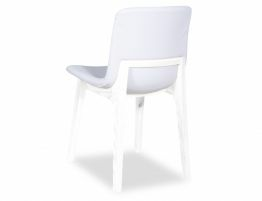 The all white Ara Dining Chair will bring a clean fresh minimal style to your home whilst brightening the darkest of rooms.